A Forever Recovery releases new information regarding the components of prescription drug addiction and how to prevent this growing problem. The use and abuse of prescription medications, from painkillers to ADHD medications, has seen a sharp incline over the past few years, rivaling illicit street drugs in their ease of access and popularity. A recent blog post released by A Forever Recovery, an open-ended drug and alcohol treatment program and rehabilitation facility in Southwest Michigan, provides information on various aspects of prescription drug abuse. The use and abuse of prescription medications, from painkillers to ADHD medications, has seen a sharp incline over the past few years, rivaling illicit street drugs in their ease of access and popularity. 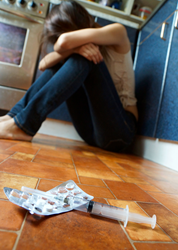 Other factors have led to the increase of prescription drug abuse in teens and young adults. In high schools and college campuses across the nation, there has been a trend of using stimulants, such as Adderall or Ritalin, which are intended to increase the user’s focus. This is especially prevalent at so-called “study parties”, where depressants like alcohol, marijuana or even more prescription drugs are used after the study session to “come down” from the effects of the prescription medications.